Optical character recognition (OCR) is widely used for automation. Typical OCR algorithm runs on each character and it include preprocessing step of separating each character from input image. Most segmentation algorithm runs well on good quality of image of machine printed. Also, barcode on surface would be good candidate. But, there are industrial applications that could not adopt barcode. In this case, identification code is marked directly on the surface of products. Characters produced by marking have height difference between character and background region. This makes it difficult to devise illumination system which guarantees good quality of image. 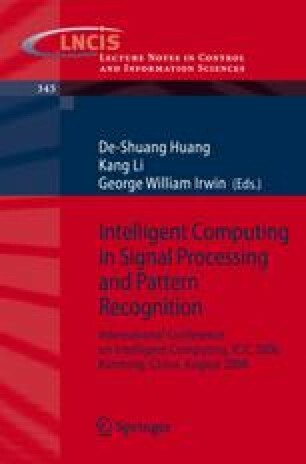 New algorithm targeting robust segmentation of characters marked on surface is proposed. Proposed algorithm is based on consistent use of two profiles of accumulated magnitude of edge not only in finding of rectangular region containing identification code on input image but also in final segmentation. Final position of segmentation of each character is found by dynamic programming which guarantee global minimum. Feasibility of proposed algorithm is tested under various lighting condition.